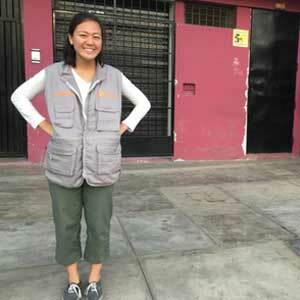 In Lima, Peru, as in many other parts of the world, the stigma associated with mental health often leads to neglect. In the district of Carabayllo where the prevalence of perinatal depression is 40%, how can we overcome this barrier? This is the question Minyoung ("Minnie") J., a recent graduate from Harvard University, is seeking to address. With the help of an InterExchange Christianson Grant, Minnie is spending eight months in Peru with Socios En Salud (SES), the Peruvian subsidiary of the Boston-based organization Partners in Health, to help implement maternal and child healthcare initiatives. Her main focus is on a maternal mental health intervention. As the issue of global mental health and perinatal depression is not exclusive to Lima's population, Minnie hopes her monitoring and evaluation project helps inform a wide range of international health care providers striving to implement similar programs. "After spending the majority of my college career studying global health in the regional context of Latin America, I want to translate my academic interests into hands-on field experience. This is exactly what my Christianson Grant service project will provide!" Minnie joins two other inspiring Christianson Grantees who are volunteering in Latin America and the Caribbean to help communities and foster connection. The InterExchange Foundation awarded more than $15,000 to this second cohort of 2018 grantees! Read on to learn more about how these motivated young Americans are working to make a difference around the world. How can we overcome the stigma associated with mental health to improve perinatal depression? In Carabayllo, the largest district of Lima, Peru with a population of 239,038, the overall prevalence of depression is 20%—but the prevalence of perinatal depression is 40%. Minnie J., a recent Harvard University graduate, is spending eight months in Carabayllo working with Socios En Salud (SES), a Peruvian subsidiary of the Boston-based organization Partners in Health (PiH), to help strengthen the mental health of mothers before and after birth. The Pensamientos Saludable (Healthy Thoughts) initiative provides cognitive behavioral therapy sessions for women suffering from perinatal depression. Minnie will implement a monitoring & evaluation framework to scale-up this intervention. "I hope to learn how the missions and values of global health groups are placed into action through concrete programs and interventions in local communities," Minnie told us. She’s also excited to establish roots in a new community and develop relationships with both patients and local colleagues. Education is the guiding force in the life of first-generation American Victor F. A Posse Foundation Scholar, Victor utilized his time well at Middlebury College—founding Evolution Dance Crew, spearheading a peer-mentorship program, and serving as president of Alianza, a Latino Cultural Organization on campus. 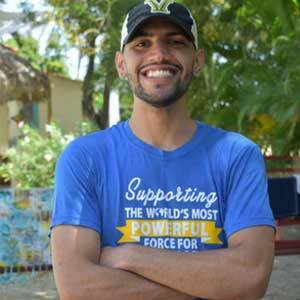 Now he’s sharing his passion for education to uplift young women in the Dominican Republic. After two years as an admissions counselor for his alma mater, Victor will spend 10 months in the Dominican Republic with the Mariposa DR Foundation. The organization serves adolescent females in the marginalized community of Batey Libertad. In addition to dance, English, and martial arts instruction (Victor has a black belt in Karate), he’ll also help prepare young women for admission to United World College, a conglomerate of international schools around the world that shape leaders who deeply care about cross-cultural understanding. "I’m excited to learn from an organization that empowers young Dominican and Haitian women, and I look forward to sharing my passion for martial arts, dance, and educational access! Thank you to the Christianson Grant for helping to make this dream possible!" According to the UN Refugee Agency, we are facing the worst refugee crisis on record, with more than 65 million refugees, asylum seekers, and displaced persons worldwide. Nicole S. has dedicated the past three years to helping these communities in New Orleans as an immigration representative and bilingual legal assistant. Now she’s heading to Mexico to help expand legal services and community resources for refugees in the country. 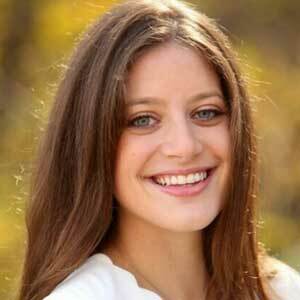 "Growing up in a Jewish community, a people whose history is defined by the refugee reality of fleeing persecution, I learned to appreciate that survival depends on others recognizing their responsibility to help." Nicole shared. Nicole will spend six months as a volunteer advocate for Asylum Access, traveling throughout Mexico City and other parts of the country to promote refugee rights in schools, businesses, and governmental institutions. In addition, she’ll organize workshops for refugees to access legal and community resources. For Nicole, this is a chance to push policy and initiatives that better promote inclusion and access for refugees. It’s also a chance to stand in solidarity with those fighting for protection. "Opening your doors and borders to those most vulnerable implies that you are willing to hear someone else’s story—that you listen to their struggle and history and that you see them as an equal who deserves the same right to safety and happiness as you." Nicole said.